We'll be exhibiting again at ecobuild 2015 from the 3rd - 5th March. Our stand is S6042. As well as our team our partners will be joining us to offer technical advice and support. 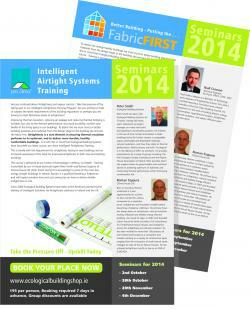 We are exhibiting pro clima; GUTEX; CALSITHERM; THERMO-HEMP; WELLHOFER. We've new sealing solutions to show you from pro clima so come along and see us if you are there. We've Launched our 2015 Training Programme! Following a successful World Green Building Week series of seminars and demonstrations in September 2014, Ecological Building Systems have announced a series of new training courses and seminars for 2015. This is timely with the latest revision of the building regulations, increased activity in the construction sector and a demand for higher levels of thermal performance in our buildings. 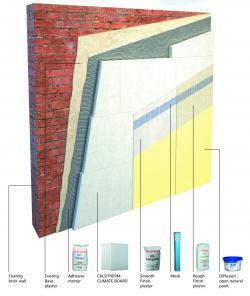 Thermally Upgrading Single Leaf Masonry Walls with Internal wall insulation...what are the pitfalls? Identifying areas and elements within existing buildings where substantial improvements to the thermal performance can be affected, will always present a variety of challenges. The reason for this is that most of the material used in older buildings exhibit very different characteristics than most modern building materials especially in the areas of vapour diffusion, “breathability” and moisture management. 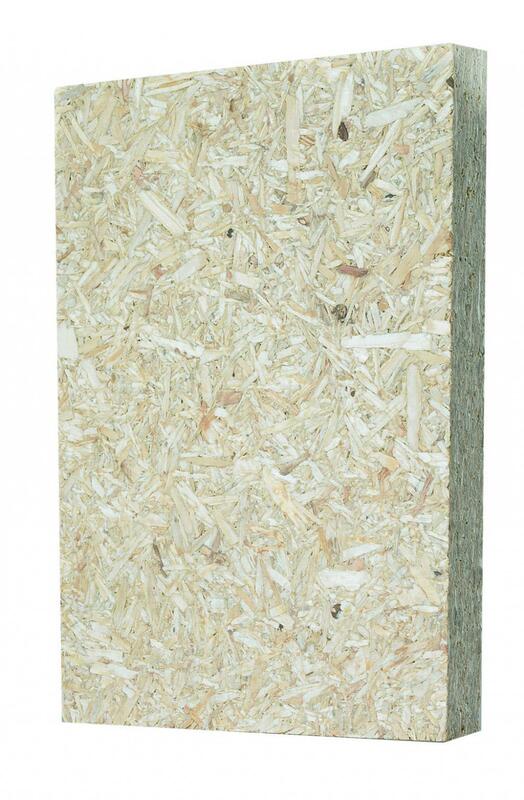 One such area of contention is the thermal upgrade of single leaf masonry walls with internal insulation. 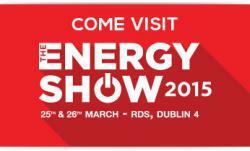 It’s hard to believe it’s been 12 months since the last SEAI Energy Show....where does the time go! We will once again be launching an array of new innovative Ecological building solutions at this year’s event. We are looking forward to showcasing a range of new pro clima airtightness solutions including pro clima's new CONTEGA SOLIDO SL and EXO range of air and windtightness plastering tapes and their new range of EXTOSEAL butyl sealing tapes. We will also be launching our new range of Elka Strong Board (ESB) Diffusion open racking boards, an adaptive structural board for internal and external use. Of course we will also be displaying our range of GUTEX woodfibre, THERMO HEMP and THERMAFLEECE sheep wool natural insulations and our range of natural paints. We will also be demonstrating our unique range of joist and rafter expanders from the SMARTSIX system. Finally we will also be displaying the latest developments in Irelands highest performing airtight and pre insulated WELLHOEFER attic hatch and ladder. Drop by and visit our technical team at stand C5 for more information about low energy building using more natural materials! It’s back to the office this week for the Ecological Ireland team following yet another busy and successful Energy Show. Our stand was ably manned by Adrian Crosson, Peter Smith, Niall Crosson and last but by no means least, our recent UK recruit sent over to help us Fintan Wallace. The Sustainable Energy Authority of Ireland’s (SEAI) annual business to business event, The Energy Show 2015, was a real success with the exhibition growing 20% and visitors up 10% on last year to 3,800. 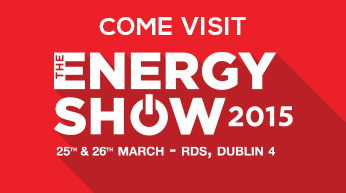 The show, which took place at the RDS in Dublin on 25th and 26th March, hosted over 170 exhibitors along with multiple networking events, an extensive electric vehicle showcase, live retrofit demonstrations, an international markets pavilion and a wide range of workshops. Opening the Show Alex White TD, Minister for Communications, Energy and Natural Resources said: “The sustainable energy sector is a significant contributor to our economic recovery and it is already supporting 15,000 jobs and this figure is set to increase in the coming years. As we develop as a green energy location, Ireland will add sustainable energy expertise and access to secure, clean energy to the list of factors that are successfully attracting foreign companies to Ireland”. Best Services Provider: Winner — Niall Crosson, Ecological Building Systems receiving the award for Energy Show Product of the Show Awards 2015 from Brian Scannell, one of the judges and Tom Halpin, Head of Information, SEAI. We we’re delighted that our Better Building: Putting the Fabric First course won Product of the Show in the category, Best Service Provider. Training specifiers, energy consultants, builders and homeowners has always been a cornerstone of Ecological Building Systems services since our inception almost 15 years ago. With our extensive knowledge in regard to high performance, healthy construction using natural materials we are in a unique position to impart our knowledge to all those involved in the construction industry. Therefore it was a great honour to receive such recognition for the training and services we provide from the Sustainable Energy Authority of Ireland. 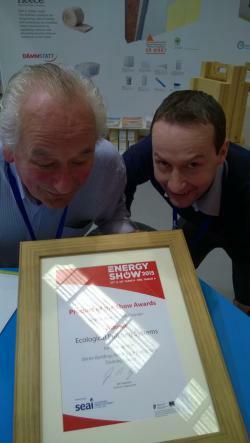 Peter and Adrian taking a close look at our award at the show! While renewable energy is to be fully supported, the basic foundation of any low energy building, be it new build or retrofit, is to focus on the fabric. Airtightness, thermal continuity, ventilation and using more natural materials which contribute to a heathy living space are core components of the training we provide. The Better Building course also introduces attendees to the basic principles of Passivhaus buildings, and how to comply with the latest iteration of Part L of the building regulations. Training is provided by Senior Engineer with Ecological, Niall Crosson in conjunction with the highly skilled practical sessions with Roman Szypura of Clioma House Ltd.
We also had the honour of meeting the Minister for Communications, Energy and Natural Resources Alex White and Brian Motherway, CEO of SEAI. 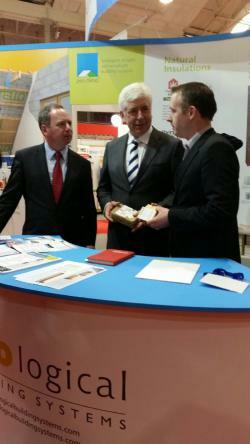 Both we very impressed with the range of airtightness and natural insulation solutions we promote and provide on the Irish market. They were also particularly interested in the history of our parent company MacCann & Byrne, dating back to 1906 and still a family based company to this day! We look forward to next years show! Reliable functioning tested for 100 years. 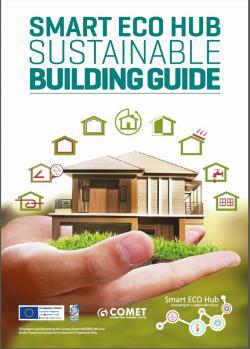 On Tuesday the 14th of April 2015 Peter Smith a member of our technical support team, attended the launch of SMART ECO HUB SUSTAINABLE BUILDING GUIDE at Stormont Castle, Belfast. Niall Crosson our Senior Technical Engineer provided a number of technical contributions to the document but unfortunately wasn't able to attend as his new baby took priority! The Smart Eco Hub is a cross border, business to business cluster organisation for companies in the sustainable energy sector. Their mission is to drive economic growth and job creation through collaboration and innovation in the sustainable energy sector to develop and exploit new technologies for local and international markets. Through their collaborative network of small and large enterprises, academic research organisations and local government agencies they provide a unique hub environment for identifying synergies, creating business opportunities, establishing living labs and stimulating innovation. Nearly Zero Energy Buildings (NZEB) is a building standard that all EU member states will have to comply with over the next several years. As the title suggests, it means that all new buildings will have to meet a higher standard of energy efficiency so that they require virtually no fossil fuels and produce very little C02 into the environment. With fuel prices certain to continue rising into the future it makes both financial and environmental sense to embrace these changes if undertaking a new build or a substantial renovation. The Guide is structured to follow a fabric first approach, starting with design issues, moving through insulation, building systems, glazing and ventilation/airtightness, before addressing water usage and waste water practices. The Directory at the end of the publication carries profiles and contact details of the companies who have contributed to this Guide. The event began with a welcome by Lord Mayor of Belfast; followed by Cllr Oliver Tully; Chief Executive Louth Co Co, Joan Martin; Minister Mark Durkan; Mickey Brady MLA; and Steven Agnew MLA. 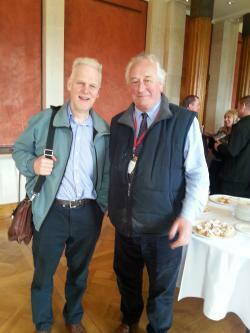 Other speakers included, Colin King, Director BRE UK and Paul McAllister, a Passivhaus Architect. Colin King's presentation was particularly eye-opening and to the point, and included some telling images of common bad building practices and failures. Also from the floor, Tom Woolley, Rachel Bevan Architects; Liam Brown, Enviroform Ltd; Raymond Moan, Quality Timber frame; Paula Moan, Beam Vacuum & Ventilation; Olann Herr of Herr Ltd; and finally, Peter Smith of Ecological provided a brief presentation and summarised their input to the publication. Peter also met up with the ubiquitous Pat Barry of the Irish Green Building Council -he seems to be everywhere..how does he do it?! We were invited to finish a successful launch with a good lunch at the Stormont Hotel before heading our separate ways.